4 of the students in Julia's class like to write and 5 like to sing. 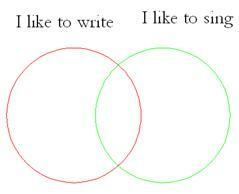 2 students like to both write and sing. How many students like to sing but not write? Hint: copy and complete the Venn diagram below to help you solve the problem. Make a Venn diagram to solve the problem. 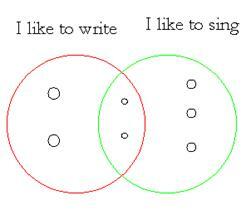 So 3 students like to sing but not write.